Resources and information about suicide warning signs, risk and prevention is available on the Tennessee Suicide Prevention Network website, tspn.org. Teen suicide rates in the United States rose between 2010 and 2015, and a new study suggests social media could be to blame. The analysis, published last week in the journal Clinical Psychological Science, shows that teen suicides and social media use increased at the same time. Although the study doesn't prove causation, it illustrates a growing concern among doctors, teachers and parents, many of whom eagerly await more research into what, if any, effects new forms of media have on mental health. "We're raising the first generation of technology users in a more complicated digital world, and it just requires us to be cognizant of what the risks are, as well as the benefits," said Dr. Katherine Goudelocke, a child and adolescent psychiatrist at Erlanger Behavioral Health. Goudelocke said many factors can influence teen suicide — untreated mental illness, relationship issues and substance use — and the study doesn't do enough to show that too much screen time amplifies suicidal thoughts. But at the same time, she's seen what social media can do to her patients. "It can very easily impact self-esteem," she said. "It's definitely something that needs to be carefully monitored due to potential harm." Goudelocke said teens are vulnerable because the brain's frontal lobe, which regulates emotions and impulse control, is still developing. 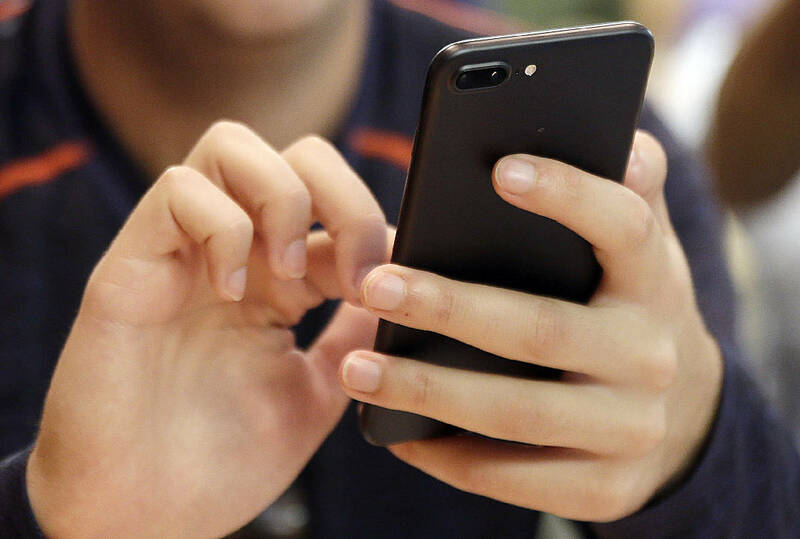 Dr. Valerie Arnold, chief of child and adolescent psychiatry at the University of Tennessee Health Science Center, also worries about the chance for social media to harm teens psychologically. "I do think that there's some damaging parts to social media, and I do agree that when you look at Facebook you see everyone else having a great time you think, 'Why didn't I get invited to that?'" Arnold said. Arnold said teens can be "egocentric" in the way that they believe the whole world's watching their mistakes, which may induce anxiety. But the viral nature of social media can turn this fear into reality, especially if something sexually explicit is posted. "When it's placed on social media, that's millions of people that see," she said. As the founder of Happy Family Training, Chattanooga-based life coach Danielle Alvarez-Greer works with parents, educators and adolescents to overcome bullying and develop healthier communication skills. She said it's "astonishing" how many parents come to her seeking help with their teenagers' electronic device and social media behaviors. "Before even giving them a cellphone, I think it's really important that families begin to really get clear boundaries," said Alvarez-Greer, whose 15-year-old son just received his first cellphone. She recommends that families and guardians, even if it's just two people, make time to sit down and communicate on a regular basis, a practice that can easily be lost in the busy day to day. "We do have a valuable role in educating our kids on healthy social media usage and texting and also recognizing, too, that our kids are going to make mistakes," Alvarez-Greer said. "Our job is to prepare how we're going to respond." After the study's release, the Tennessee Suicide Prevention Network released a statement encouraging parents to "engage with their children about their activities online — how much time they spend on their computers and phones and what they do on them." Arnold said that while it's important that parents monitor their teens, she doesn't believe in snooping, because it could prevent children from reaching out for help when they need it. "I think it destroys trust with your child — I would recommend good communication versus spying any day," she said, adding that tracking their online activity or logging in with their passwords can be useful tools, but should be discussed with children upfront.